Cover has very light wear. Inside pages are nice and clean. Has been used very little. 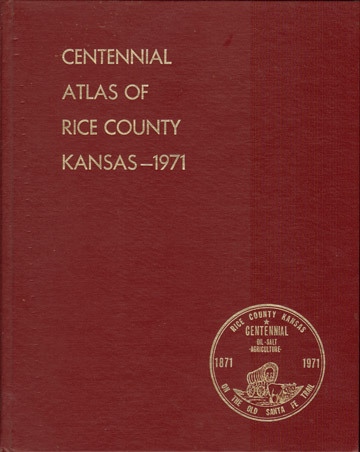 Published 1971 by American Atlas Company, McPherson, Kansas. Beyond maps, this book is loaded with history, family information and hundreds of family photos. Large format pages 11 x 13.75"
Hardbound, 354 pages, large, oversize, heavy book.